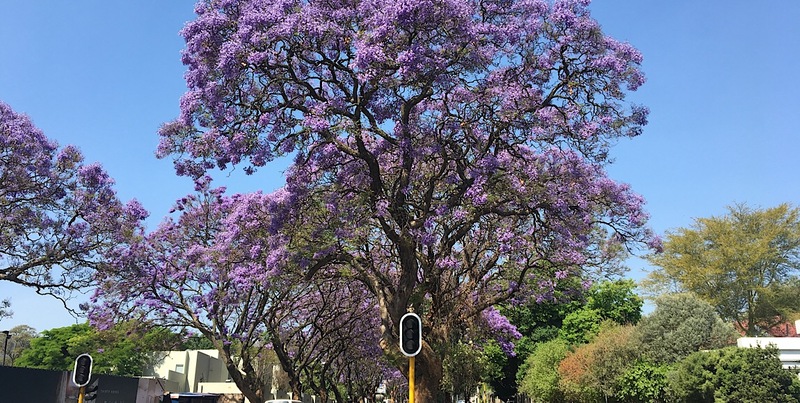 Every year from late September to November some of the trees in Johannesburg and Pretoria turn a vivid lavender. Thatâ€™s when we bid farewell to winter and celebrate the spring, and Jacaranda season. Jacaranda season is the best time of the year. It drapes our tree-lined cities in unexpected colour which is magnificent to see. SHAAZIA EBRAHIM and FATIMA MOOSA collected pictures and trivia about the beautiful trees. If you didnâ€™t know, the Jacaranda is an alien species. The trees originated in South America, and were imported from Brazil. 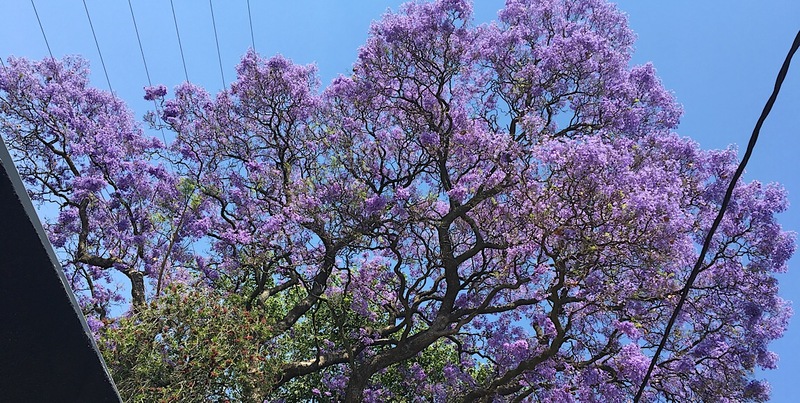 A man named James Clarke is recorded as the first person to import the seeds of Jacaranda mimosifolia. â€˜Jacarandaâ€™ means â€˜fragrantâ€™ in a native South American dialect. The trees are known for their trademark purple blossoms. Some Jacaranda species boast white petals, but these are uncommon in South Africa. 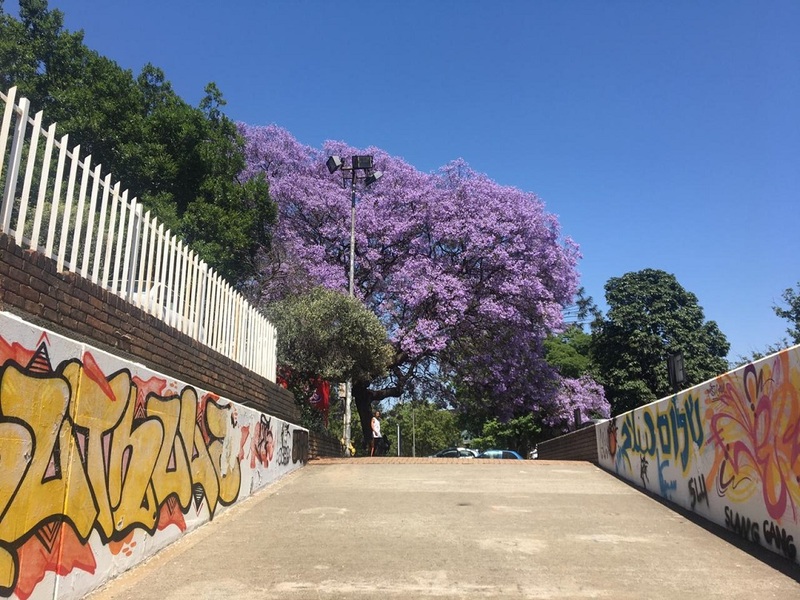 You can see white-blooming Jacarandas in Herbert Baker street in Groenkloof, Pretoria. The first two trees were planted in Pretoria by JD Cilliers way back in 1888 in what is now the Sunnyside Primary School. 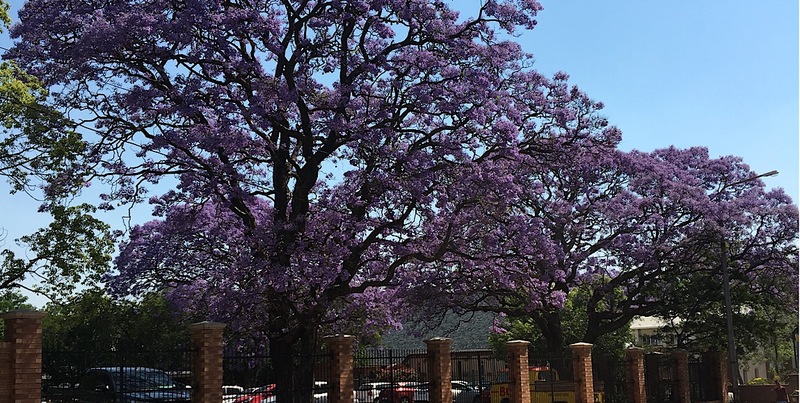 The trees are embedded in the culture of the city of Pretoria. 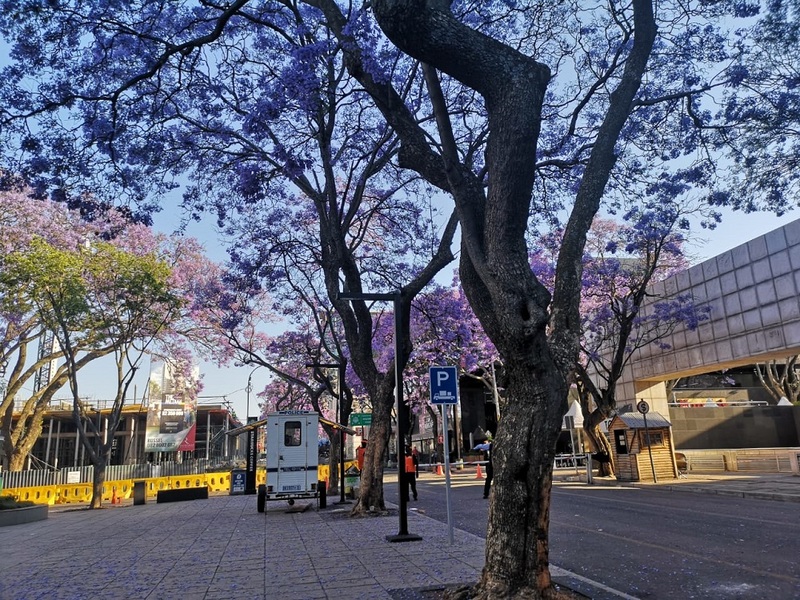 Pretoria is known as the Jacaranda City. 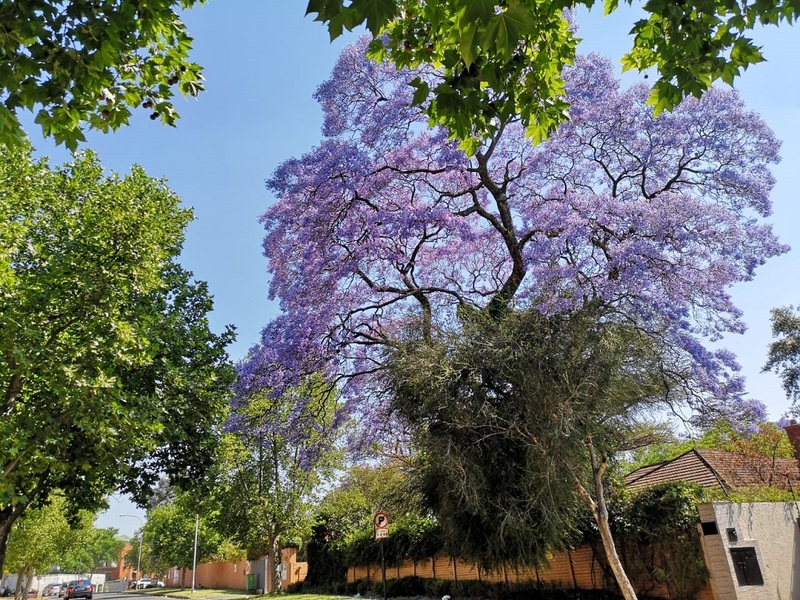 In fact, 17% of all the trees in Pretoria are Jacarandas, which makes for almost 70 000 trees! Pretoria even has a popular radio station named after the beautiful trees. (Itâ€™s Jacaranda FM, obviously). 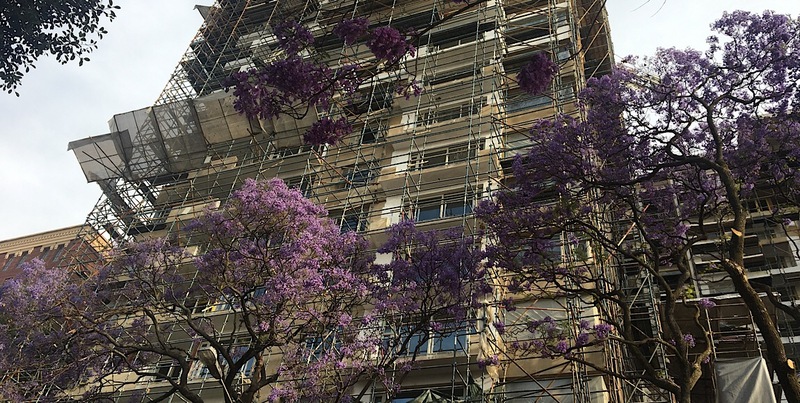 A 1945 issue of The Star newspaper claims that Johannesburgâ€™s first Jacaranda tree were planted in Doornfontein. The article says that William Nelson, who owned Nelsonia Nurseries, grew 30 million trees, shrubs, and plants by 1896, many of which were Jacaranda trees. 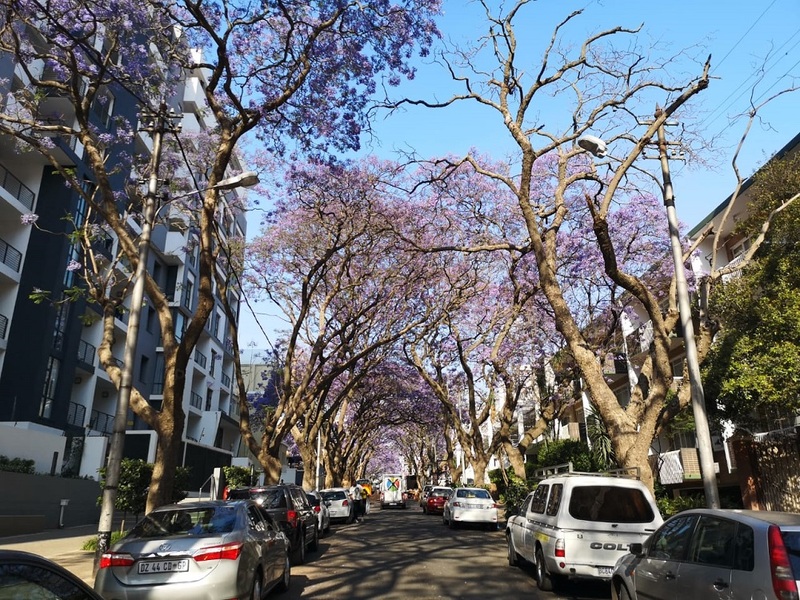 Nelson, the article says, is also said to have planted over 100 km of trees along the streets of the suburb Kensington in Johannesburg. The trees are currently dot the spring landscape of Johannesburg and Pretoria are the only ones that are going to be around. 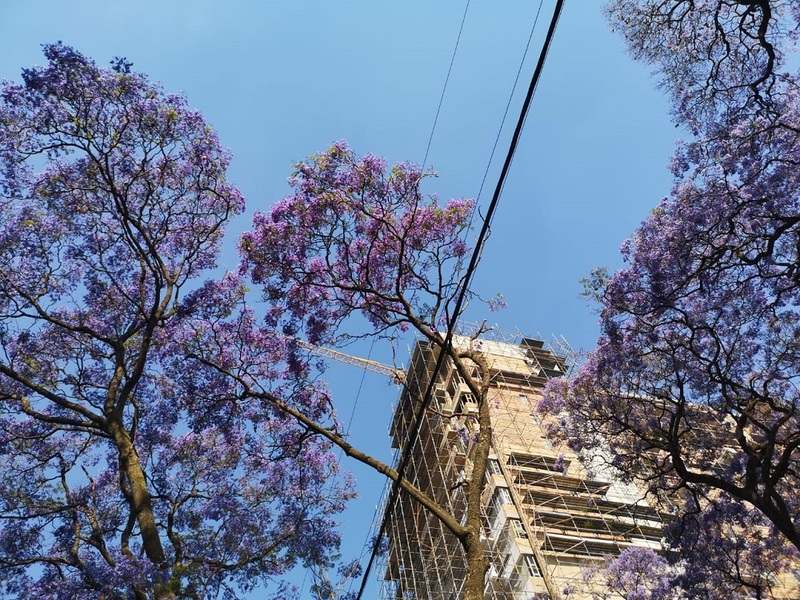 According to a 2001 law, Jacarandas were declared a â€œcategory three invader:â€ which means they canâ€™t be planted, propagated, sold, or transplanted. 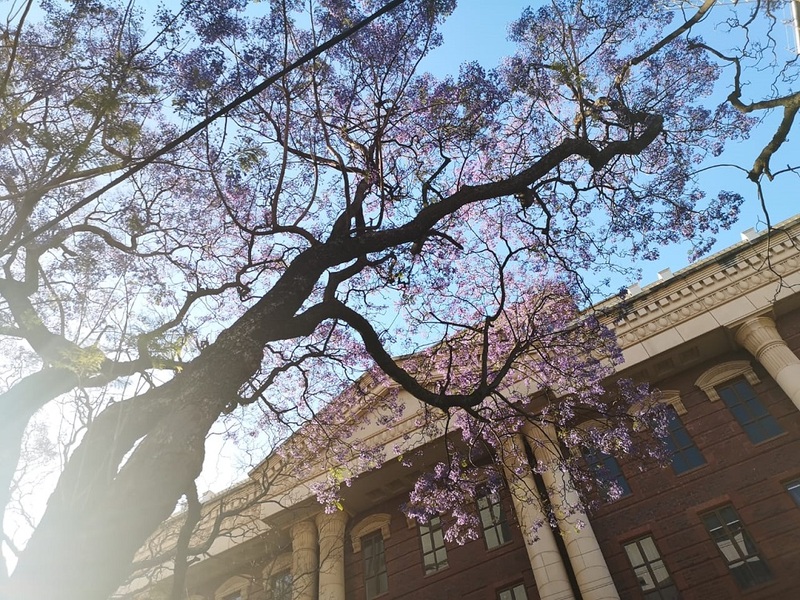 The blooming Jacarandas have made their way into universities mythology. 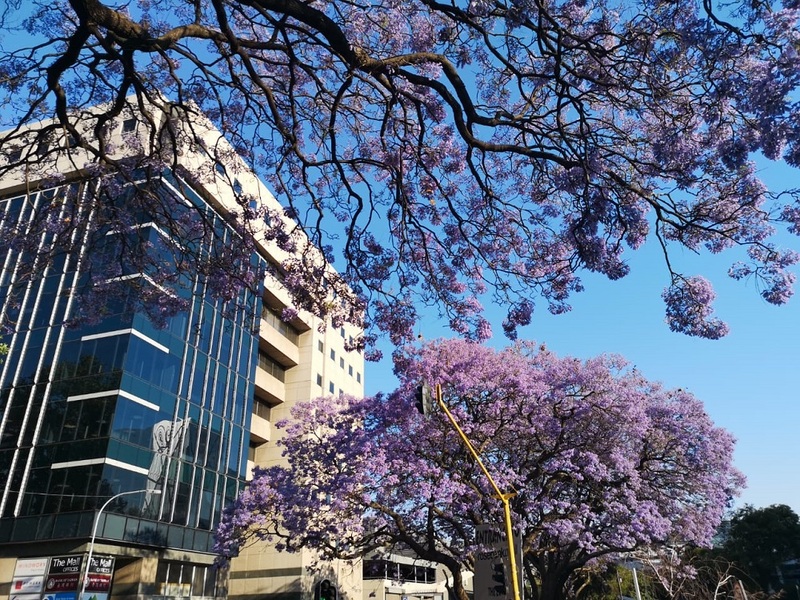 Witsies often joke that if you havenâ€™t started studying for final exams when the Jacarandas start to bloom, then youâ€™ve probably left it too late. 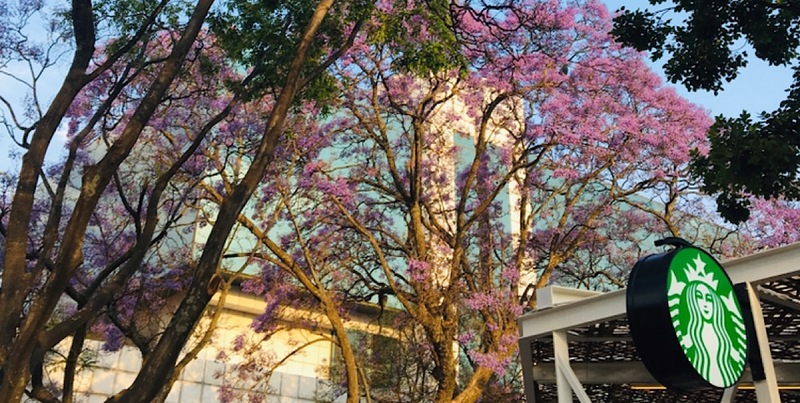 Enjoy the Jacarandas while theyâ€™re still in bloom!